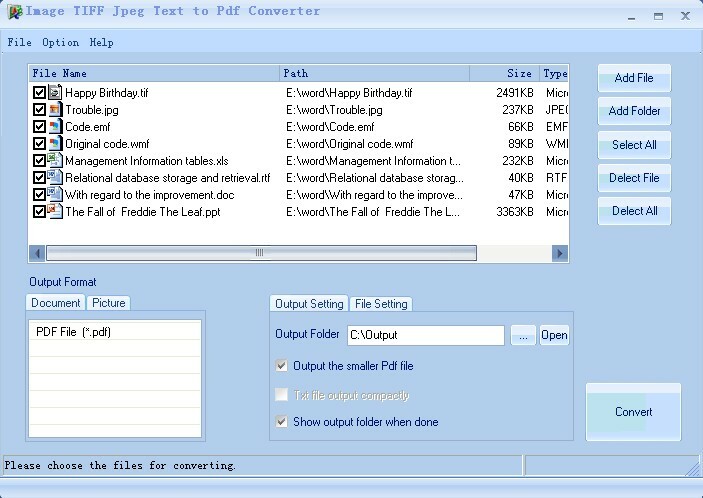 Image TIFF Jpeg Text to Pdf Converter is an all-in-one documents and images batch converting to pdf format tool. It allows you to effortlessly batch convert different file formats to pdf once, which is the fast way to create super pdf format. 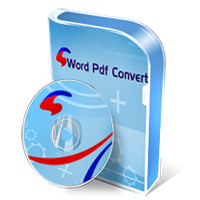 It features powerful conversion functions and can batch convert documents between Microsoft office word(.doc, .docx. docm), excel(.xls, .xlsm, xlsx), powerpoint(.ppt, .pptx, .pptm), htm, html, rtf, txt. In addition, It can batch convert different image formats including jpg, bmp ,gif ,tif ,wmf ,emf to pdf.You can get it at a very competitive price.Facing these excellent features you can have a try now.